You know this thing about The Secret Life of Pets Games? Cute-games.com has a new category of games for you named The Secret Life of Pets games as the name of the movie from where we bring to you those games. 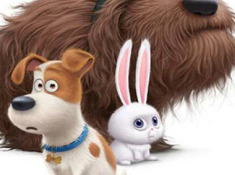 The Secret Life of Pets is an upcoming 2016 animated comedy produced by Illumination Entertainment and it brings us an amazing story about cute animals and their secret abilities, activities and ideas. In The Secret Life of Pets Games you can find 14 games that we've published for these kids and childrens that are interested to play The Secret Life of Pets Games, this game gategory have been created on 07.11.2015. These games with The Secret Life of Pets Games have been voted 1 times and the avarage of vote is 5.00 stars. We advice you to play the last flash game from The Secret Life of Pets Games, Secret Life of Pets Spin Puzzle that have been published on 25.02.2017 19:06. Secret Life of Pets Spin Puzzle its a part of The Secret Life of Pets Games category and until now its played 1040 times. Try it now on Cute-Games.com! If your like the Secret Life of Pets Spin Puzzle game you can write a comment in the game page. Recommend this game to your friends if you like it! 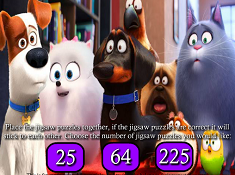 The Secret Life of Pets Jigsaw its a part of The Secret Life of Pets Games category and until now its played 786 times. Try it now on Cute-Games.com! 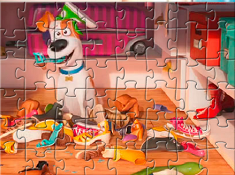 If your like the The Secret Life of Pets Jigsaw game you can write a comment in the game page. Recommend this game to your friends if you like it! The Secret Life of Pets Find Objects its a part of The Secret Life of Pets Games category and until now its played 1044 times. Try it now on Cute-Games.com! 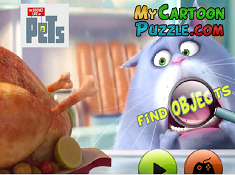 If your like the The Secret Life of Pets Find Objects game you can write a comment in the game page. Recommend this game to your friends if you like it! 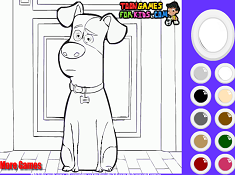 The Secret Life Of Pets Coloring Page its a part of The Secret Life of Pets Games category and until now its played 1523 times. Try it now on Cute-Games.com! 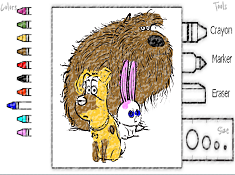 If your like the The Secret Life Of Pets Coloring Page game you can write a comment in the game page. Recommend this game to your friends if you like it! 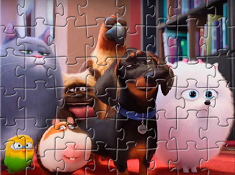 The Secret Life of Pets Characters Puzzle its a part of The Secret Life of Pets Games category and until now its played 1852 times. Try it now on Cute-Games.com! If your like the The Secret Life of Pets Characters Puzzle game you can write a comment in the game page. Recommend this game to your friends if you like it! The Secret Life of Pets Memory Match its a part of The Secret Life of Pets Games category and until now its played 1223 times. Try it now on Cute-Games.com! If your like the The Secret Life of Pets Memory Match game you can write a comment in the game page. Recommend this game to your friends if you like it! The Secret Life of Pets Memory Cards its a part of The Secret Life of Pets Games category and until now its played 1818 times. Try it now on Cute-Games.com! If your like the The Secret Life of Pets Memory Cards game you can write a comment in the game page. Recommend this game to your friends if you like it! The Secret Life of Pets Puzzle its a part of The Secret Life of Pets Games category and until now its played 1486 times. Try it now on Cute-Games.com! If your like the The Secret Life of Pets Puzzle game you can write a comment in the game page. Recommend this game to your friends if you like it! The Secret Life of Pets 6 Diff its a part of The Secret Life of Pets Games category and until now its played 1720 times. Try it now on Cute-Games.com! If your like the The Secret Life of Pets 6 Diff game you can write a comment in the game page. Recommend this game to your friends if you like it! The Secret Life Of Pets Spot The Numbers its a part of The Secret Life of Pets Games category and until now its played 1562 times. Try it now on Cute-Games.com! 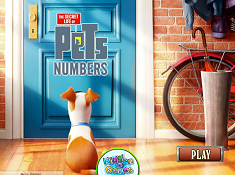 If your like the The Secret Life Of Pets Spot The Numbers game you can write a comment in the game page. Recommend this game to your friends if you like it! The Secret Life of Pets Coloring its a part of The Secret Life of Pets Games category and until now its played 2164 times. Try it now on Cute-Games.com! If your like the The Secret Life of Pets Coloring game you can write a comment in the game page. Recommend this game to your friends if you like it! The Secret Life of Pets Memory its a part of The Secret Life of Pets Games category and until now its played 2137 times. Try it now on Cute-Games.com! 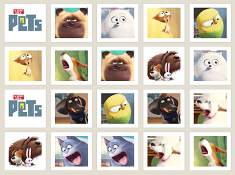 If your like the The Secret Life of Pets Memory game you can write a comment in the game page. Recommend this game to your friends if you like it! 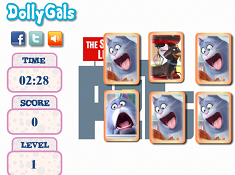 Mel Puzzle its a part of The Secret Life of Pets Games category and until now its played 1377 times. Try it now on Cute-Games.com! If your like the Mel Puzzle game you can write a comment in the game page. Recommend this game to your friends if you like it! The Secret Life of Pets Numbers its a part of The Secret Life of Pets Games category and until now its played 2213 times. Try it now on Cute-Games.com! 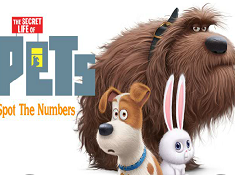 If your like the The Secret Life of Pets Numbers game you can write a comment in the game page. Recommend this game to your friends if you like it! Find More About The Secret Life of Pets Games! The action takes place in Manhattan where Max, a terrier which his owner loves has a shock when the owner, Katie took home a new pet which is Duke, a sloppy mongrel who was rescued from the pound. At the beginning Max saw Duke like a rival but when they heard that Snowball, a little white rabbit starts a war against the owned pets and their owners, they put their force together by stopping this war. In that adventure the animals from the entire Manhattan are united for protecting their lives and their owners from the Snowball`s army. 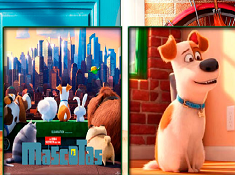 The main character of the movie is Max, a terrier which is good, serious and loved by his owner. Duke is the second character which is a mongrel rescued from the pound and he is friendly and sometimes a little silly. Another character is Snowball, a rabbit which is the leader of an army abandoned pets called the “ Flushed Pets”, she is cute but dangerous and she also wants to have an owner but she doesn`t have luck. We have here a human character which is Katie, the owner of Max and she loves a lot the animals reason why she took home Duke. Mel is a pug which is a little stupid, lazy and he thinks he is a powerful dog but he barks only when is not necessary. Chloe is a cat and another character of the movie which is a fat cat because she loves the food and she loves eating and if you want to make her happy just give her food. 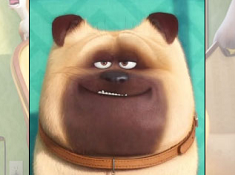 Other character is Buddy, a funny and clever dog which loves to be spoiled and when he is home alone he spoiled himself with different items. Gidget is a white fluffy Pomeranian very cute and very fashion which is in love with her neighbor, Max, the main character of the movie. Tiberius, a yellow hawk is also part of the movie, which is very smart and funny and when he is home alone he loves to play video games. Another character is Norman, a guinea pig which is very silly and heedless, his motto from the movie being “Has a brain the size of a pea, chooses to use only half of it.” These are just a few characters, the more active but you will meet many others interesting and funny pets which will make you laugh a lot. On cute-games.com you will meet all these cute pets and you will have to choose from a lot of The Secret Life of Pets games because we create for your games with each character and different challenges. You will have to wash them, to feed them, to dress up them, to spoil them, to brush them, to make up them and many other relaxing things which will make you friends and you can to choose what pet you love the most and play with it. Also you will have to go through a lot of funny adventures where you will spend a good time and you will have the chance to know better these interesting pets which are always doing just crazy stuffs and they are always get into trouble. Also, you can play our coloring games or puzzle games where you will find a lot of funny pictures and posters with these characters, photos of their lives and their activities. Other Secret Life of Pets games that we had for you are our ability games where you have the chance to play and to prove that you are better than them on any challenges. The film will have the premiere in 2016 but until then you can unapproachable by our pets and when the movie will appear you and they will be already good friends. Also, if you want other games that we haven`t published yet you can tell us what The Secret Life of Pets games do you want and we will publish any game for you. We hope that you will enjoy our games because we always try to bring to you the most beautiful, funny and interesting games for you.